Weerayudth Phetbuasak 2010 18 72 7305 30 minutes from downtown. Sea Pine Golf Club is designed with 6 holes right on the beach so that the bunker really is the beach, the course gets its name from the surrounding pine trees and has been created on a large portion creating a truly beautiful golf course right next to the ocean. Sea Pines provide the golfer with a range of challenges and difficulty levels that will surely please all golfers looking for a great round on a great golf course. 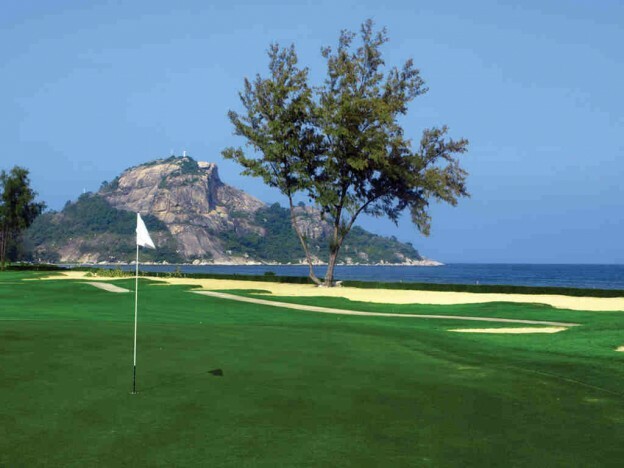 The course is well maintained and the modern clubhouse has an excellent restaurant where you can enjoy Thai or International food while overlooking the ocean or even a glass of beer at the end of the day, whatever you choose there is no doubt that Sea Pines will be an enjoyable golfing experience.